The new 34,000 sf. 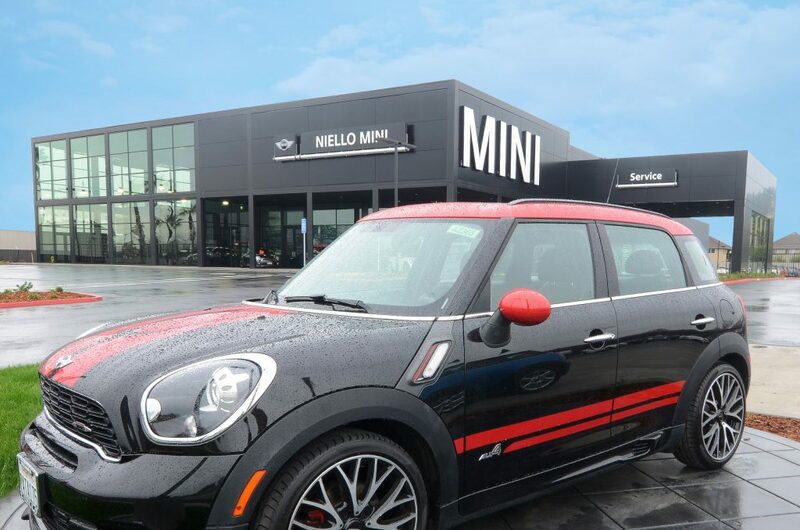 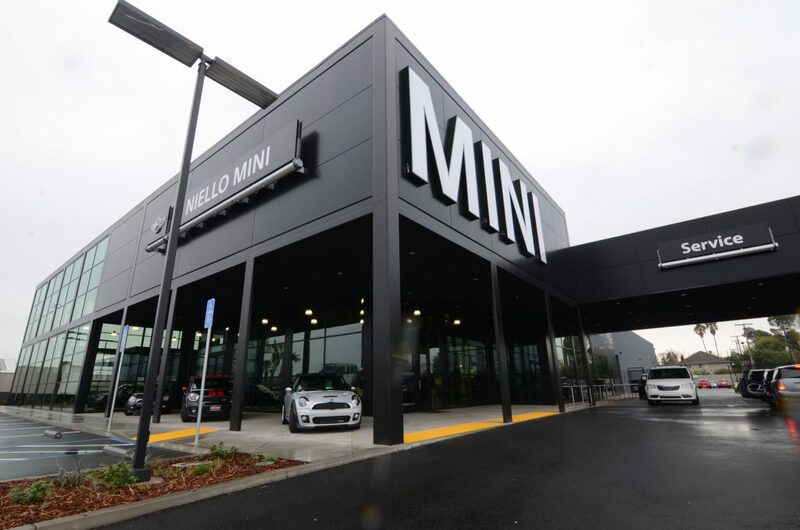 Niello MINI automotive dealership features a sleek modern design throughout the showroom, service department and customer lounge. 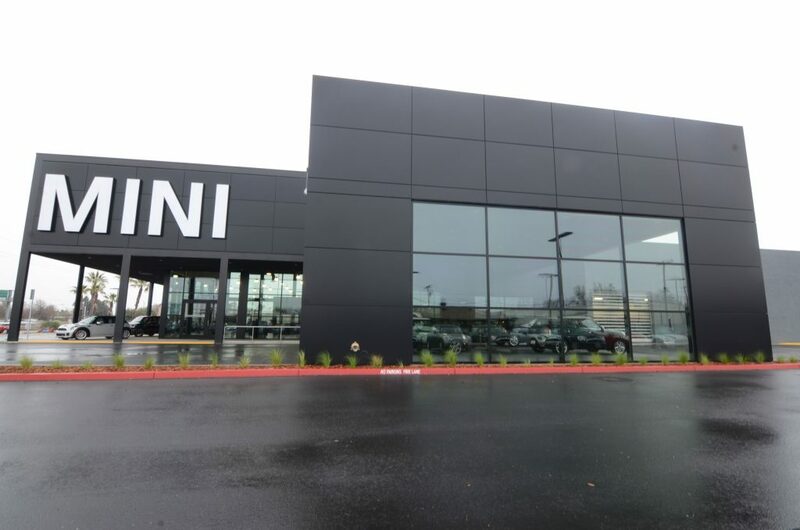 The two-story structural steel braced frame building includes decorative exterior metal panels and large expanses of curtainwall glass. 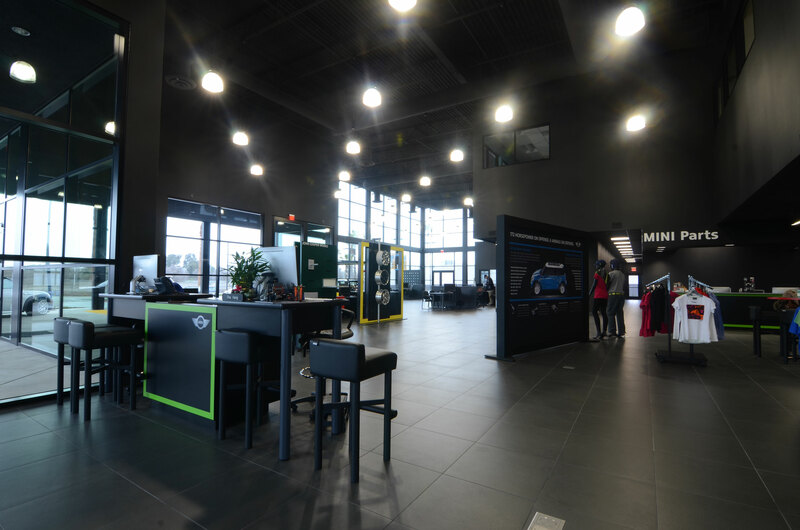 High-end interior finishes include architecturally exposed structural steel (AESS), stone tile floors, wall covering, stone counters, exposed ceilings and a high-end light package. 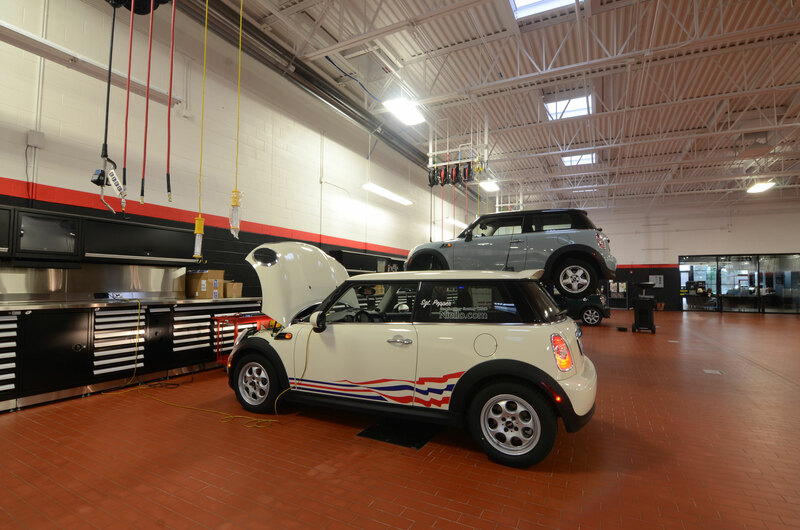 The attached service garage consists of a masonry wall structural system with steel roof joists to span the width of the building. 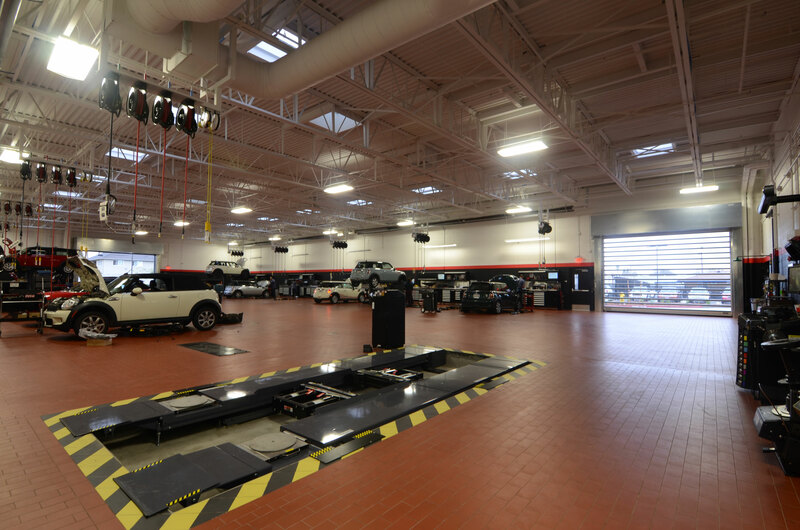 The shop contains ‘show-room quality finishes’ that include mortar set Argelith Clinker floor tiles, stone counters, recessed vehicle lifts, high-speed roll-up doors and an integrated exhaust evacuation system.